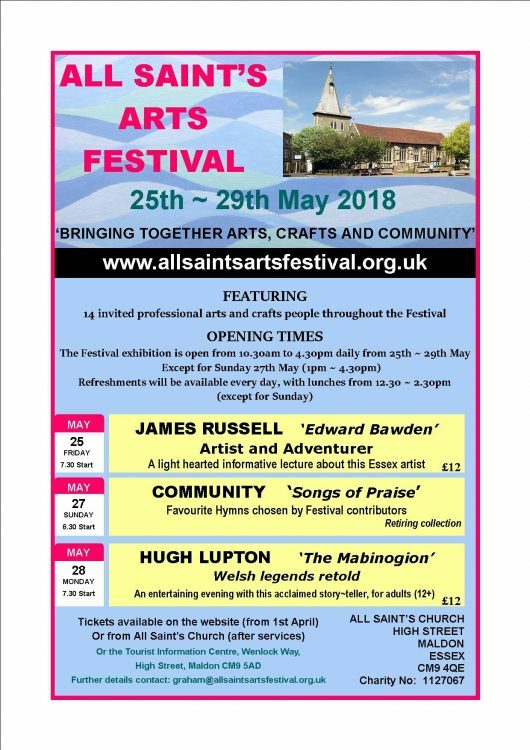 Tickets for the evening events will go on sale on 1st April, and will be available from our website, from the church after their regular services, and from the tourist information centre in Maldon. At the moment I am enjoying going all over Essex and Suffolk meeting the artists – I went to see ceramicist, Nicky Sheales in Brightlingsea on Monday, and last Friday visited Alison Dane, from Walsham-le-Willows in Suffolk, who makes jewellery from her own printed and painted papers – very magical! Earlier last week, I had a trip over to Wivenhoe, to meet jeweller, Ophelia Mills, who makes jewellery from vintage china and sterling silver, (and recently had her work featured in the glossy magazine, World of Interiors), and down to Leigh on Sea in the south east of Essex to visit Jonathan Trim, whose mixed media landscape paintings have been highly popular in the past at our previous Lexden Arts Festival. 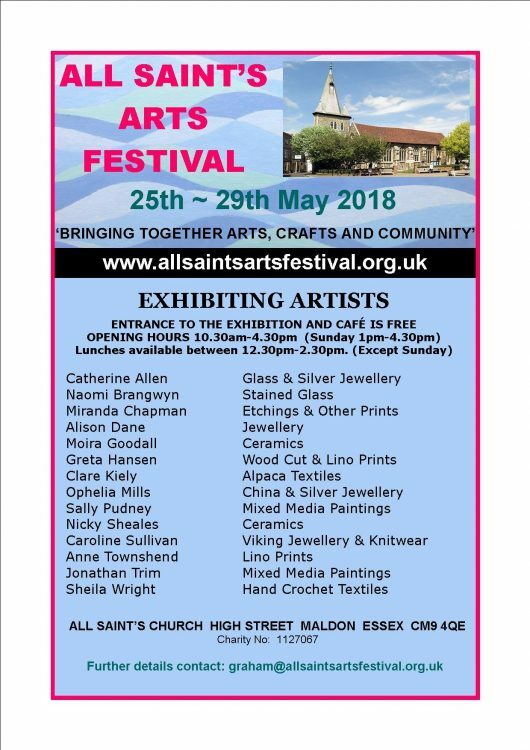 Links to all their websites are on the Art Exhibition page on the Festival website.